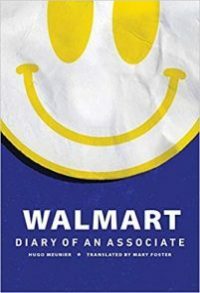 Hugo Meunier, author of Walmart: Diary of an Associate, talked about what he learned about Walmart while undercover on the April 22 edition of America’s Work Force. In 2012, Meunier went undercover as a Walmart associate for three months to investigate and record how the employees were treated. He stated that there was a brainwash type culture where employees were trained to denounce bad employees, sell out other employees if they don’t do things the Walmart cookie cut way, and to become “yes-men” to their superiors. Meunier touched on how employees would have individual meetings with their managers where they would push an anti-union agenda onto their workforce, saying that unions are only in it to work for themselves, not the company, and that is why the employees should not unionize. Robert Zirkelbach, executive vice president of public affairs for the Pharmaceutical Research and Manufacturers of America (PhRMA), spoke with AWF on April 22 about changes to medicare and prescription prices. He said that there is new legislation coming out called “Medicare Part B,” which is a program to help seniors receive discounts on their prescriptions, whether in a hospital or from their doctor. This program would increase access to complex medicines as well as allow the government to price prescriptions like other countries do. Larry Willis, president of the Transportation Trades Department was the last guest on the April 22 edition of AWF. 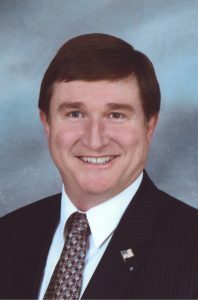 Willis spoke discussed union busting moves in the aviation and rail work industries by people introducing legislature to make it easier to decertify unions in these sectors. He also talked about transit workers being assaulted on the job and discussed potential protections to keep them safe. AWF host Ed “Flash” Ferenc discussed the ongoing Stop N Shop strike and the massive amounts of support that the workers are receiving during their strike. 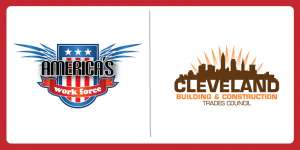 During the Feb. 25 edition of America’s Work Force, Doreen Cannon, president of Plumbers Local 55, a Cleveland Building and Construction Trades Council Affiliate, spoke about recruiting more people into the trades. A trades fair is coming up on March 7, hosted at Max Hayes High School in Cleveland, Ohio from 6:00pm – 7:30pm. Cannon said that the fair, hosted twice a year, has grown exponentially since the first trades fair five years ago. Cannon then went on to discuss the benefits of an apprenticeship, such as an earn while you learn approach, good health benefits, free training, and earning college credits. She spoke on the high demand for more apprentices and tradespeople in Cleveland due to the large amount of construction projects going on in the area. Lake County Commissioner, John Hamercheck, spoke about the Perry Power Plant that is scheduled to shut down in 2021. He said that when the plant shuts down, over 30 million dollars in taxes will be lost, over 700 plant workers will be out of a job, and there will be nearly a half billion dollar hit to the states GDP. Hamercheck also mentioned that the Perry Power Plant just set a new operational record for most consecutive days in operation. 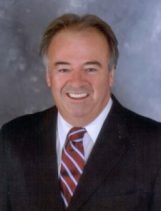 Larry Willis, President of the Transportation Trades Department, talked about infrastructure in Ohio receiving a “D+” rating and other failing infrastructure throughout the rest of the United States. He mentioned President Trump’s initial promises when he first took office about improving America’s infrastructure and how there has been nearly no progress on that promise. Lastly, Willis spoke about Governor Dewine proposing a gas tax raise of 18 cents by July, and the push for truck drivers to unionize. Progressive Agenda was the Main Topic of Discussion on America’s Work Force. Whether or not metropolitan areas possess jobs that will help workers obtain a middle class lifestyle was the main topic of conversation during the Jan. 28 edition of America’s Work Force. Third Way senior economic policy advisor, Ryan Bhandari spoke about unemployment rates and having a job to support a middle class lifestyle during his time on AWF. Bhandari said that the unemployment rate is the lowest it has been in a while, four percent, yet people are still unable to afford a middle class lifestyle. Bhandari said that in the top 200 metropolitan areas, only 38 percent of those area’s jobs pay their workers well enough to be able to afford a middle class life. That means that 62 percent of jobs in these major areas do not pay their workers well enough and are living lower class lifestyles. He then spoke about raising the minimum wage to adjust to inflation rates and how the value of a dollar has different amounts of power depending on where you are in the United States. President of the Transportation Trades Department, Larry Willis discussed the temporary end of the government shutdown during his Jan. 28 appearance on AWF. He stated that although the end of the shutdown is temporary, he is happy to see the the thousands of workers get back to work and make money to support themselves and their families. He also talked about his worries for government workers again if President Trump is unable to reach an agreement with Congress over funding for the southern border wall. Willis also discussed improving infrastructure around the United States before building the border wall. AWF host Ed “Flash” Ferenc discussed union membership across the United States dropping from 10.7 percent to 10.5 percent in 2018. Transportation Trades Department President, Larry Willis, was a featured guest on the Nov. 26 episode of America’s Work Force Radio to talk about the need for infrastructure improvement. Willis discussed the benefits of investing in infrastructure and the results of the 2018 midterm election. He said working men and women will benefit from Democrats retaking the House of Representatives. Also, investment in infrastructure, such roads and bridges, will lead to the creation of more jobs and lead to transportation options. Outgoing Lake County (Ohio) Commissioner Dan Troy also appeared on AWF to talk about the results of the midterms. Troy expressed disappointment in some of the results, including issues involving working families. He discussed the Fix Our Roads program and how FOR is helping to improve Ohio’s infrastructure. America’s Work Force Radio host Ed “Flash” Ferenc spoke about the debate between entering into an apprenticeship or attending college. He also talked about the need to strengthen social security and the record amount of women recently elected to Congress. On Oct. 22, Dan Troy, Lake County Commissioner, was featured on America’s Work Force Radio to discuss the upcoming elections and the importance on voting. He talks about how vital it is for people who have strong opinions on certain issues to go out and vote so that they can make a difference; your vote matters. Troy also mentions a construction trades apprenticeship fair hosted by Pipefitters Local 120 and encourages people to go to the event and learn about the benefits and opportunities that come with a registered apprenticeship. Larry Willis, President of the Transportation Trades Department, was on the show to talk about a labor win with the FAA re-authorization bill. Also, Willis speaks about the health and safety of flight attendants and their fight for fair rest time. Willis concludes his time on the show by talking about getting out and voting if you want to see change. Show host Ed “Flash” Ferenc talks about how people feel about Brett Kavanaugh and whether he was telling the truth or not during the investigation. Also, Ferenc sheds light on the University of California medical center workers planning a three day walkout starting on Oct 23, which is their second time walking out in 2018! Controversy Surrounding Immigration and Customs Enforcement Discussed on America’s Work Force. On the show today, we had the Lake County Commissioner, Dan Troy, as well as the President of the Transportation Trades Department, Larry Willis. During his time on the show, our first guest Dan Troy talked about Immigration and Customs Enforcement (ICE) and all of the controversy surrounding the organization, social security benefits, tax cuts, immigration issues, slander speech, the importance of exercising your right to vote, and being honored during Pipefitters Local 120 ceremony. Congratulations Dan! Our second guest today was Larry Willis and he discussed the campaign against the Federal Railroad Administration and the Federal Railroad Safety Act, issues with the United States rail and freight industry, break inspections and other safety sensitive training, and how some politicians are out to defame each other during the elections. We also discuss work without pay, CEO to worker pay ratio, a caucus happening discussing tax cuts, Hurricane Florence and it’s destruction, Unions helping those they need in the Carolinas, and more on the Brett Kavanaugh sexual assault allegations. A great show today with great topics of discussion!